Everyone knows the story about the bitterly contentious presidential election of 2000 between George W. Bush and Al Gore. The weeks of arguing over hanging chads and butterfly ballots — a battle that went all the way up to the Supreme Court — ultimately changed the history of the United States and started off the 21st century with a huge scandal. 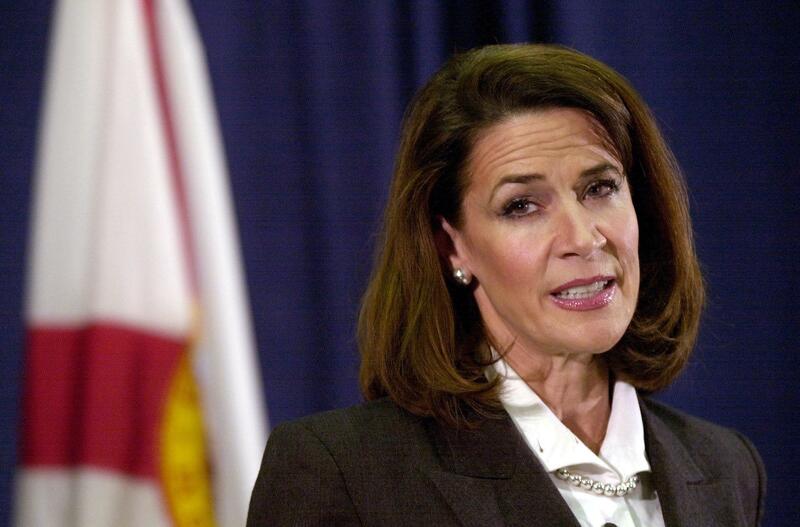 In the center of all that controversy was Katherine Harris, Florida's then-Secretary of State, who made a notorious reputation for herself during her eventful political career. Harris started out in the Florida State Senate, serving from 1994 to 1998. From 1998 to 2002, Harris then served as Florida's Secretary of State. Even before the presidential election, Harris garnered criticism for spending on foreign trips and a controversial voter purge of alleged ex-felons that reportedly might have contributed to Bush's win in Florida, and therefore, the presidency, according to a book written by television journalist Jake Tapper. In her own book Center of the Storm, Harris claimed her expenses were essential to her job, and pointed out that her predecessor spent more on airfare. Harris' office also maintained that verifying the list of eligible voters was the responsibility of elections supervisors in the state's 67 counties. But Harris really hit the height of her fame during the 36-day frenzy following Election Day 2000 when Bush was declared the winner. A Florida appeals court struck down the decision, but the Supreme Court ultimately sided with the president-elect, and therefore with Harris, in the case of Bush v. Gore. In 2002, Harris capitalized on her fame to win her Republican district and continue her career in the U.S. House of Representatives. Harris won the race with a solid 10 percent margin, and repeated that victory in 2004. But in 2006, things started to fall apart for Harris's career. During her race for the open Florida Senate seat, the ambitious politician became embroiled in an alleged bribery scandal with Mitchell Wade, the founder of defense contracting company MZM, which ultimately contributed to the downfall of her illustrious political career. Harris called the alleged bribery an "oversight" of campaign finance laws, and she was never brought up on charges, but the scandal hurt Harris substantially. Combined with public questioning of Harris's leadership from then-governor Jeb Bush, Harris' Senate bid tanked, and she dropped out of the spotlight for several years. In 2013, Harris' husband, Swedish businessman Anders Ebbeson, killed himself in the couple's Sarasota home. Ebbeson was reportedly ill, according to CNN, but the family never released the nature of the illness or whether it was a motivation or cause of the suicide. Since his death, Harris has been particularly inactive in public life. But the former politician hasn't disappeared completely. On Tuesday, she attended the Florida Senate's legislative reunion and mingled with other former legislators at the Capitol in Tallahassee. At only 58, Harris has plenty of time to once again make a place for herself in the hallowed halls. It's been 10 years since her loss on the national stage, but everyone loves a comeback. Perhaps the appearance at the annual event is a sign that Harris's political career isn't over just yet.